For two centuries, Aidan dún Scoti's kinsmen have guarded Scotland's greatest secret, the real Stone of Destiny. Now King David seeks an alliance with the mountain Scot. 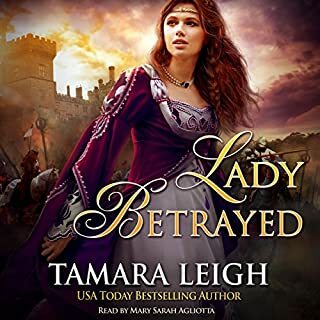 But only one woman will tempt him--the accursed beauty whose father once betrayed his clan... Cursed by Aidan's people for the sins of her father, Lleas MacLaren is the one woman Aidan believes he is immune to... she is also the one woman who may bring the fierce chieftain to his knees. Royce Warwick returns home after setting down a rebellion to find his family brutally murdered. When all fingers point to his betrothed and attempts are made on his life, Royce must wade through murky waters to uncover the truth. Yet Brithwin's wise and kind nature begins to break down the walls of his heart, and he soon finds himself in a race to discover who is behind the evil plot before Brithwin is the next victim. Enjoyed the book Sword of Forgivness. It was a clean read that I can easily recommend. 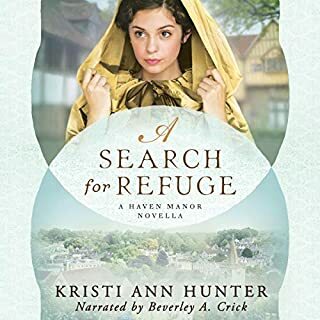 I enjoyed the audio version of this book! I was running out of Audiobooks and discovered this one! I don't usually read or listen to medieval genres! I decided for the price I was willing to try it! I was quickly involved and pulled into the story! I haven't been able to concentrate on reading another book (I often read several at once), because I was so wrapped up in this one and needed to know how it would turn out! Wonderful clean romance! I highly recommend it! I read “listened to” this book and enjoyed the narrator and the writer. This book literally comes alive, at least it did for me with the narration. A beautiful love story along with intense moments. Adventures and terrifying moments made me want to keep reading but I did have to put it away a few minutes to catch my breath and think on the situation. If you like intense moments and being intrigued you will love this book. There’s not one dull minute! I received a free audiobook from the author but was not required to write a positive review. All statements and opinions are my own. What did you love best about Sword of Forgiveness? I loved this story. It was full of romance, danger and swordfights. I was captivated from the first line. I can't wait to read or listen to the other books in this series. What about Anne Flosnik’s performance did you like? Overall, I really enjoyed the performance but there were a few times she was hard to understand. Nothing major and nothing a quick rewind and relisten didn't resolve. So, I listened to this entire book and mostly really enjoyed it. I found it got much too too preachy! I appreciate that religion had much to do with the lives and lifestyle of the peoples in that time so strongly. But I just do not need quite so much of it in my romance novels.... I'd choose Christian books if that's what I wanted!! Anne Flosnik is a interesting narrator. At first the whispering way she delivers her performance is very irritating.... I have to force myself to listen, but soon enough she fades away and I only hear the story, its characters and the drama of it. It was such a good story!! Creditworthy? Probably. Would I rush to buy another from this author? Probably not in a hurry. 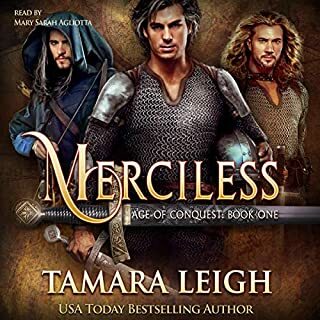 Where does Sword of Forgiveness rank among all the audiobooks you’ve listened to so far? Pretty high up in the rankings of the books I've listened to. I will probably listen again to it someday. Brithwin was my favorite. She was strong, even after all she had endured. She also had much more to endure throughout the story. Have you listened to any of Anne Flosnik’s other performances before? How does this one compare? I don't believe that I've listened to this narrator before. At first, I wasn't sure if I was going to enjoy the narration of this novel. However, after about a chapter, I decided that I really enjoyed this narrator. She did a great job with the voices and was a very enthusiastic narrator. Once I reached the halfway point in the book, it was very hard to set it down. I really enjoyed this story and hope that another book in the series will be released soon. I Made myself finish. It could have been a good story if not for the narration. What made the experience of listening to Sword of Forgiveness the most enjoyable? 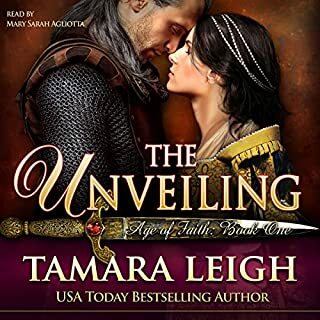 Brithwin and Royce, two honorable people forced to marry by the King, lies, mistrust and outside forces threatens them both. Brithwin's faith helps her survive and finally gives Royce back his faith. Looking forward to more of Debbie Lynn Costello books with the narration by Anne Flosnik of course! How to Marry Your Enemy! For avid listeners like me, the mark of a good book is a sleepless night, because you just don't want to hit that pause button! This book is one of those. Brithwin is an honorable woman forced to marry an honorable man Royce, it's just a shame that through an unfortunate set of circumstances, neither one knows the other is honorable! Amazingly through a series of misadventures, usually caused by Brithwin's innate sense to always do the noble thing, they learn to trust and put their lives on line for each other! Thank goodness Brithwin has her faith in God and eventually Royce to see her through! 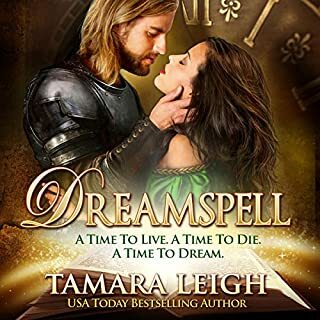 This is the first book, in what I hope will become a series, available on Audible by Debbie Lynn Costello and to have Anne Flosnik narrate this historic English novel, what a coup! It doesn't get any better than that. Buy or credit you won't be disappointed. 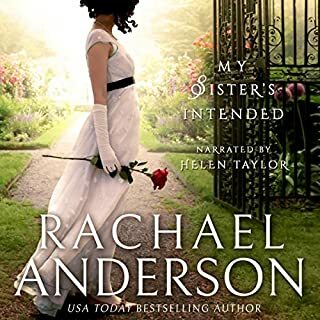 This audiobook was gifted to me at no cost in exchange for an unbiased review.